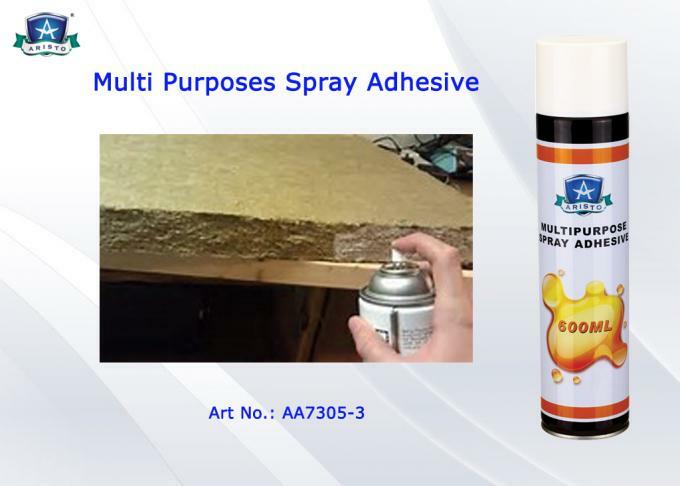 Aristo Multi Purposes Spray Adhesive formulated with good-quality raw materials and conforming to national compulsory standard-GB18583-2001 requirements of restriction of harmful and hazardous substance, possesses such features as low VOC, fresh smell, high solid content, good flexibility, easy application, strong adhesive force, environment-friendly etc. And after hardening, it can be resistant to damp, water, heat, acid, alkali and bumping, so it is widely used for bonding sponge, heat-insulated materials, fiber, wood and thin metal sheet. 1. Store in a cool, dry place; Avoid direct sunlight. 3. Do not clash, puncture or incinerate the can. 5. If accidentally to eyes, flush immediately with water for at least 15 minutes. 6. If immodesty swallow, please seek immediate medical attention or call physician immediately. 1. Mix round before using it and making it mix equally, the perfect temperature for constructing is 25+/-5℃, and humidity is 55-75%. 2. 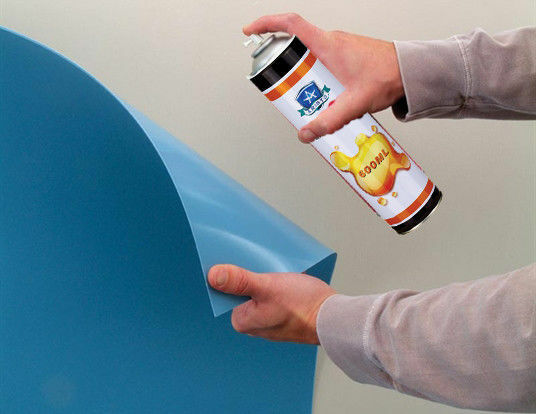 Deal with the surface right, such as remove oil, dust, rust, moisture and burnish. 3. When using the floor board, bamboo and other wood material, make sure it must containing water below 8%. 5. Avoid it leave the air hole on the sub, it must towards one way when gelatinize. The thinner of the contact adhesive on the sub, the smaller of limitation and shrink, and the higher of the glue strength. 6. Airing after gelatinizing to volatilize the solvent and increase the conglutinate and solidification, then press it properly but not move it come-and-go, so that it can remove the air and improve the quality of conglutinate further.